Rabbitware is a combination of transfer printing and stick sponge or spatterware. The plate measures 9 1/4 inches in diameter and transfer printed in black and painted with enamels in yellow, brown and green. 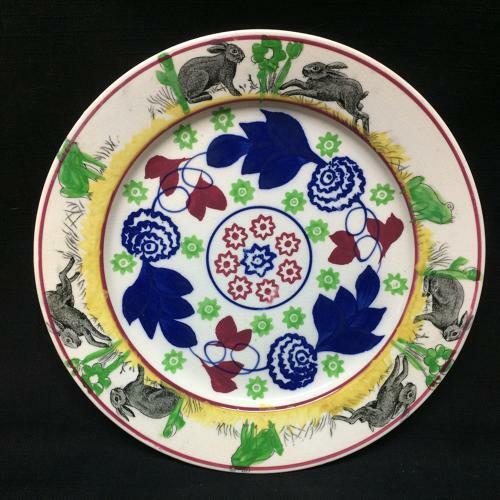 The center is painted in the Bulls-Eye pattern and this plates has the hard to find Frogs. This folk art is a highly collected art form. Never Used. The piece is in outstanding condition. There are no chips, cracks, or repairs.